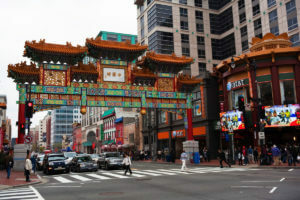 Whether you’re in the mood for authentic Chinese delicacies or a stroll through one of Washington DC’s historic neighborhoods, Chinatown offers a unique experience for all who visit. This small DC area is marked by an enormous Friendship Arch, created by local artist Alfred H. Liu. It stands 60 feet high and is a recognizable Chinese Gate with colorful dragons, Chinese Roofs, tiles and designs. The area is known for its wonderful restaurants and shops and its annual Chinese New Year Celebration which attracts many visitors – locals and tourists alike. Founded by Wilhelmina Cole Holladay and Wallace F. Holladay in 1981, the National Museum of Women in the Arts is dedicated to displaying works of art by women from all over the world. Their expansive collection includes pieces by more than 800 artists. View striking artwork created throughout various centuries; learn about the many different women who have expressed themselves through a diverse array of mediums. The National Museum of Women in The Arts celebrates the gifts that women have given to the world through art and offers exhibits, educational programs and a Library and Research Center. Meet America’s most remarkable citizens face-to-face at Smithsonian’s National Portrait Gallery. Stroll through the historic building, which was originally the U.S. Patent Office, and see paintings, photos, sculptures and more of famous Americans who have helped shape our nation. From the stunning exhibit of our Presidents, to photos of celebrities, scientists, entertainers, sports figures and more, the National Portrait Gallery offers a unique experience to guests of every age. Spanning back 300 years and across generations, each piece at the American Art Museum exemplifies the marvelous abilities of our people—and their freedom to express themselves through a variety of artistic mediums. See works by John Singleton Copley, Winslow Homer, John Singer Sargent, Childe Hassam, Georgia O’Keeffe, Edward Hopper and Jacob Lawrence, just to name a few. Enjoy learning about American artists and their work and discover the diversity of our heritage. 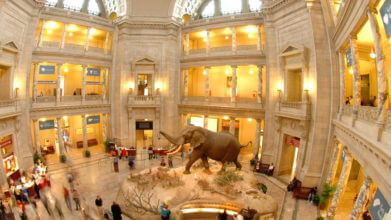 The American Art Museum is a must-see for everyone who enjoys learning about and viewing the arts.